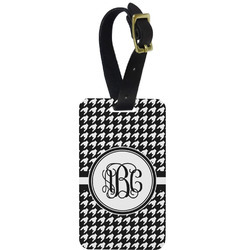 Distinguish your luggage from others when using these aluminum luggage tags. They are ideal for frequent travelers and can also be used on gym and sleepover bags. Whether it be for a child traveling for the first time, or for veteren flyers we have designs for all!! 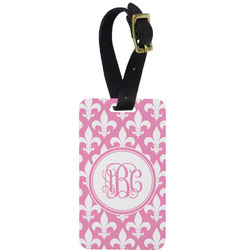 The luggage tags are printed on both sides and durable enough to withstand the hustle and bustle of baggage handling. They also include a leather attachment strap to easily secure to your bags. Ordered one for myself and one for my daughter-in-law. We both love them! Tags are durable and I love the engraving and design on tag. They are aluminum and seem as if they will hold up to lots of travel! They were also shipped timely.